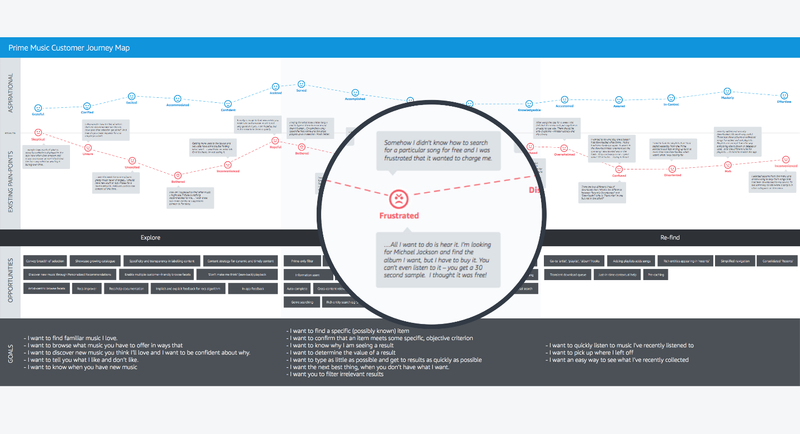 Your first UX portfolio should tell a story about the what, the how, and the why. The what is the problem you solved for each project. The how is your approach to solving that problem. The why is your reasoning for the path you took to solving it. 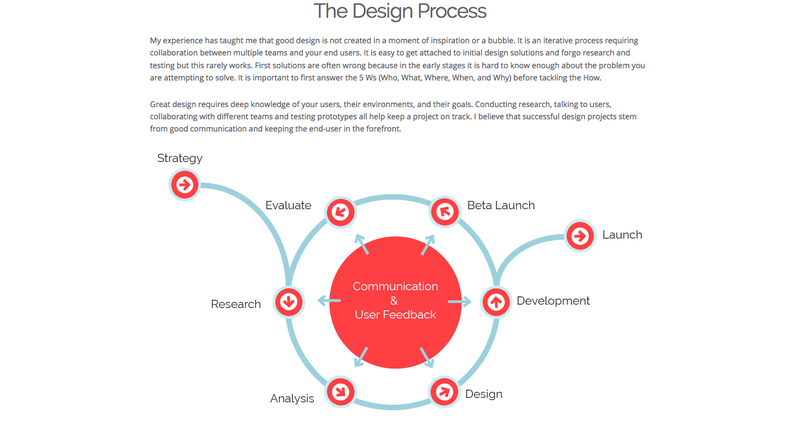 Creating your first UX portfolio can be a daunting task, but we’re here to help! Let’s look at the best practices for showcasing your UX work and go through the what, the how, and the why together. You can think of your portfolio as a story about yourself, how you think, and how you solve problems. Before you jump into writing case studies and collecting samples of your past work, it’s super helpful to start with the basics. I’ll remember you if you make me feel something. In fact, most people will. Storytelling, in a lot of respects, is joke telling. Can you make me laugh or smile or show a little bit of your personality? How do you see the world and your place in it? Where have you been and where are you going? What makes you smile, what gets you out of bed in the morning? I think most people can make a memorable first impression by sharing who they really are. If writing about yourself is hard, imagine meeting someone new. You only have a few short minutes to give them a solid understanding of how you see the world. One cool way of writing your portfolio’s “About Me” section is recording yourself talk. Talk about yourself for 30 seconds to a minute, then transcribe that audio. Is it concise? Does it do you justice? In three sentences, Alina has my undivided attention and I want to find out more. Your “About Me” section is important because it shows the person behind the work. And that’s what working with people is about, isn’t it? We want to work with someone who can teach us something new, someone we can cultivate a mutually beneficial relationship with. Personality is super important for cultural fit with any company or client! An added benefit of a concise “About Me” page is filtering out clients you wouldn’t want to work with. When you’re done with a personal introduction and the “About Me” section, it’s time to move on to case studies. An effective case study follows the “what, how, why” structure that typically starts with the problem. The problem, or the challenge, could be anything from building a new app from scratch to redesigning an existing one. The “what” is the jumping off point in the story of how you solved problems for a given UX project. Simon’s case study for the experience strategy and design of the iOS app for Barclays Bike Hire begins with the approach he and his team took early in the project. 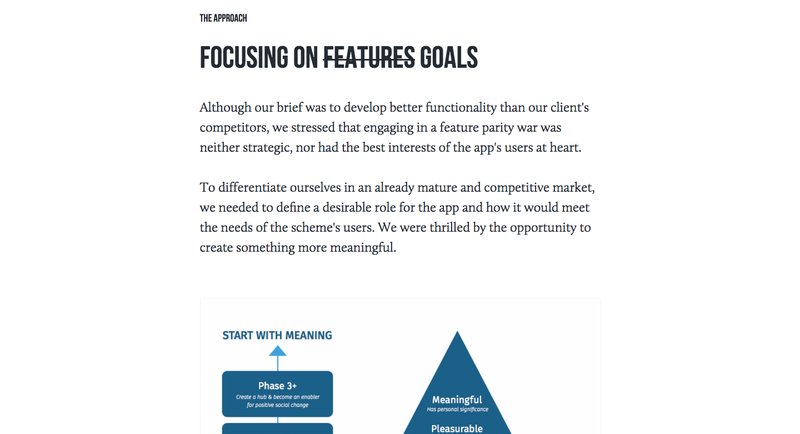 They intentionally focused on the goals of users rather than the features of the existing app. They asked themselves and the users what “ride” meant to them, and the entire case study reads like a story. The what, the why, and the how keep making appearances throughout, giving anyone reading a sense of how the team thought about the process. Another case study on Simon’s portfolio talks about the design process for Amazon Prime Music. Once again, it starts with the challenge and goes on to explain how the team reasoned throughout the project in vivid detail. It’s absolutely worth your time to read the whole thing. A beautiful component of this case study is the “What I Learned” section at the very end. It summarizes the design team’s experience working on the project and talks candidly about what they could have done differently. 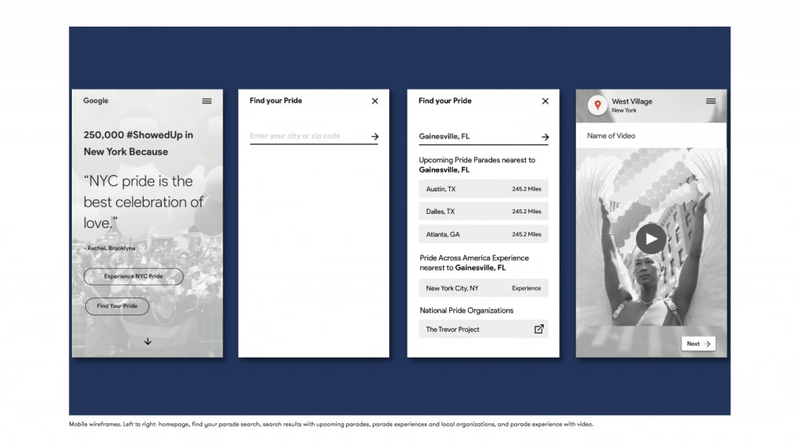 Liz Wells, a UX designer based in Brooklyn, N.Y., does a wonderful job explaining how her team worked on Google’s #ShowUp website for the Pride celebrations and experience. The case study talks about the initial challenge of having a five-week time frame to launch the site before all content for it was produced! Because the website had two states (pre-event and post-event), the team had to use design’s best practices to build pre-event UX flows. After the site was already launched, they went back to tweak user experience, making new content easy to find. One of the coolest things about Liz’s case study is her use of image captions. Nielsen Norman Group’s findings in How Users Read on the Web suggest that people rarely read web pages word by word. Instead, they scan the page, picking out individual words and sentences. One of the best practices in building your first design portfolio is being concise and using captioned images to break up blocks of text. The images you use should, of course, tell a story of their own. It helps to start simple, like the site map from the case study above, and build the story from there. One more of Liz’s case studies on Viceland’s I Smoke Weed follows the exact same story structure: the what, the how, and the why. 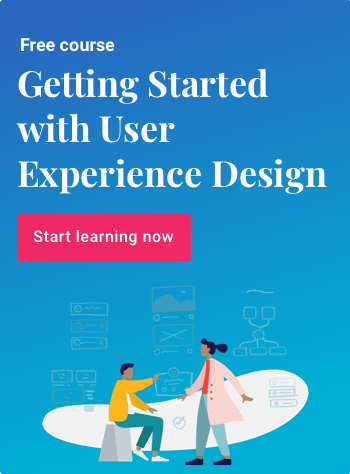 We’re invited to learn about UX challenges (the what), UX solutions (the how), and every section touches briefly on the team’s reasoning for design decisions (the why). Together, they paint a compelling story that shows how Liz thinks and what she values. John Ellison, a digital product designer based in Norwich, England, is passionate about social change. His case study on the crisis relief support tool Prosper Community is a great example of the “why” behind design decisions. John talks about why, in order to understand the problems of a complex humanitarian crisis, his team interviewed as many people as they could, including volunteers, refugees, and government officials. 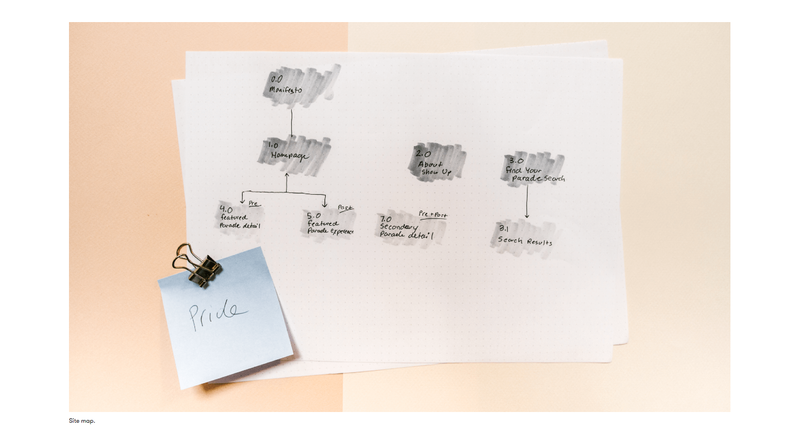 His case study also follows the what, why, how structure and even dives into the MVP creation. If you’re not yet familiar with the term, MVP stands for minimal viable product. In essence, MVP is the simplest version of a product that lets teams learn as much about the problem (and its potential solution) as possible, in the shortest timespan. 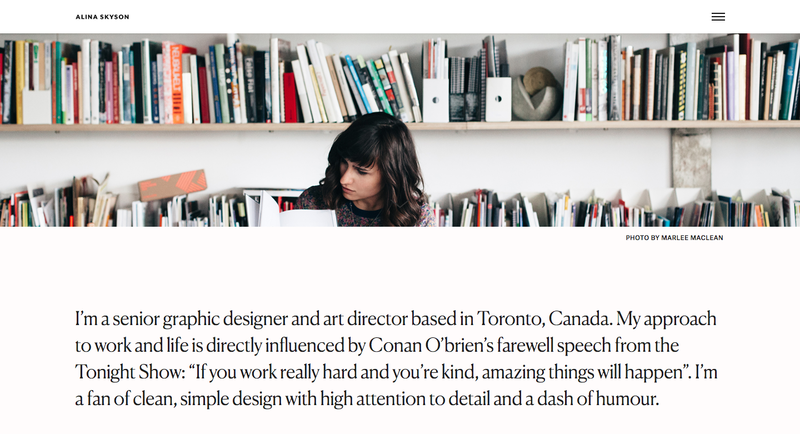 On the flip side of the “why” for design portfolios is Christina Richardson, a UX researcher and designer from Ottawa, Canada. With a degree in cognitive psychology, a minor in visual arts, skills in front-end development and design, and experience in data analytics, Christina paints a compelling picture of why she became a UX designer. Her portfolio speaks volumes about the person behind the work, while also showing a bit of Christina’s personality. My favorite thing about this portfolio is the image below. It shows the lifecycle of the iterative design process, providing us with a solid understanding of how Christina approaches it. 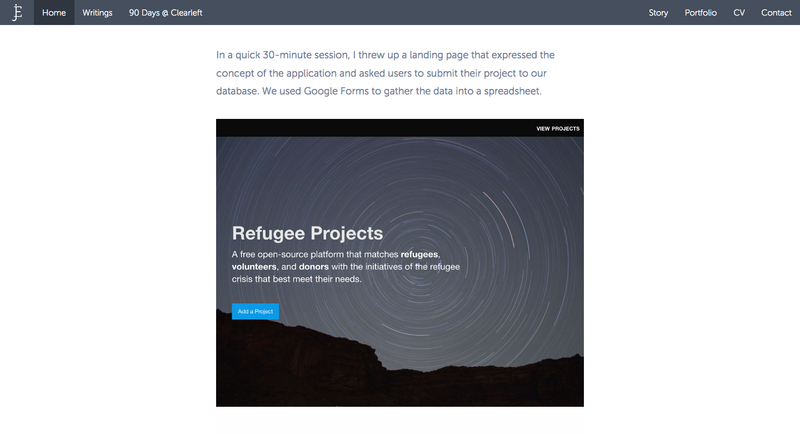 – test your contact form to make sure it works. – be snarky (we’ve all worked with bad clients, and clients who didn’t understand what we do—it’s not your job to highlight the error of their ways). Squarespace is a great tool for those of you who want to spend as little time as possible on setup. If you don’t already have your own domain, they make it easy to buy one. Format is another awesome option if you don’t feel like spending too much time on tweaking and customizing. Semplice is a powerful tool for anyone who’s a fan of WordPress and wants to spend some time customizing their portfolio. One of the differentiating qualities of Semplice is the pricing. You pay once, not monthly. Behance is a great choice for case studies and could be a companion to your main portfolio. And don’t forget to optimize your UX resume. We’ve created a free, six-lesson course that walks you through the entire process of creating a UX design portfolio. Sign up here and get started. 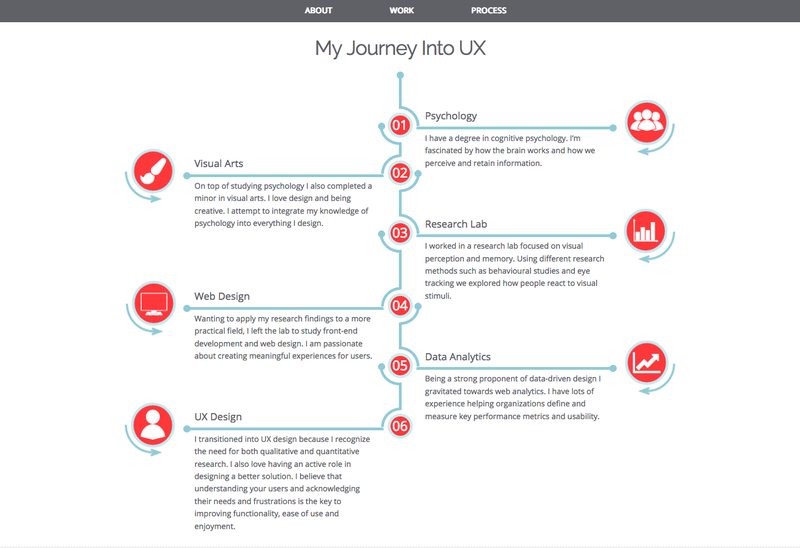 And take a look at some of the best UX portfolios from Springboard alumni.